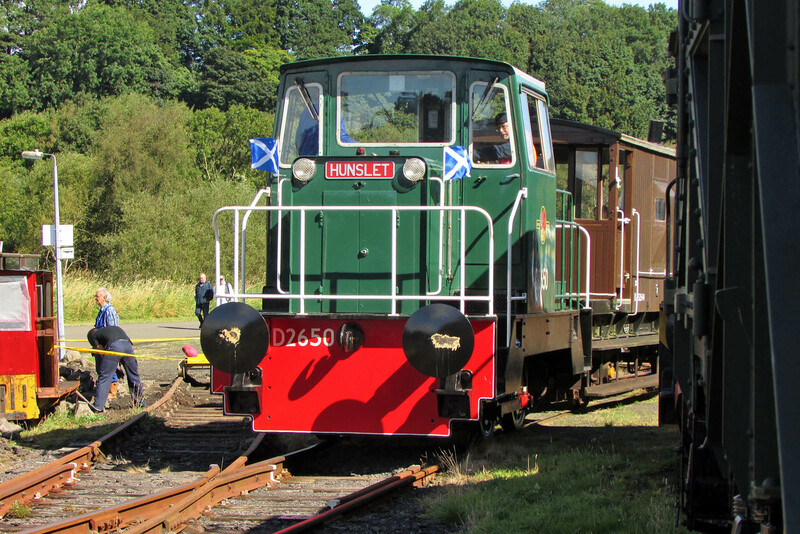 Fictional D2650, formerly MOD 250 (Hunslet 9045 / 1980) working with a guard's van. 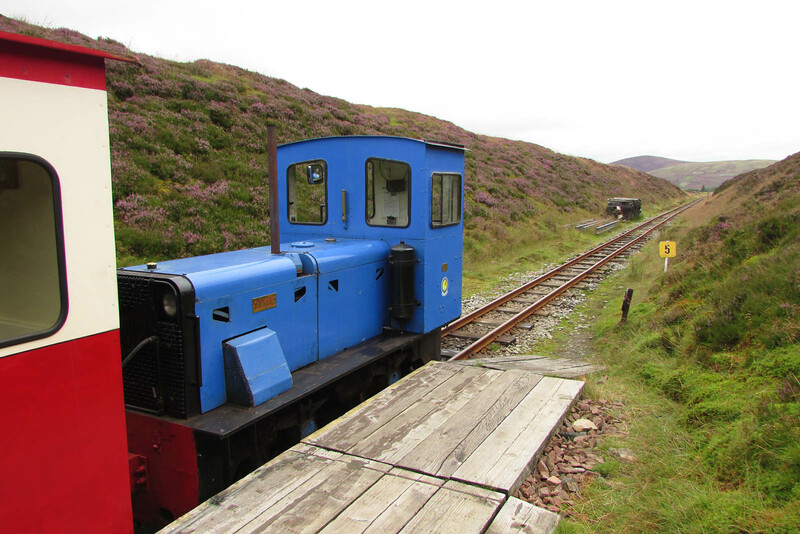 Originally delivered to RNAD Gosport, from 1995 the locomotive was at Rosyth Dockyard, but never worked there, being offered for preservation in 2007. 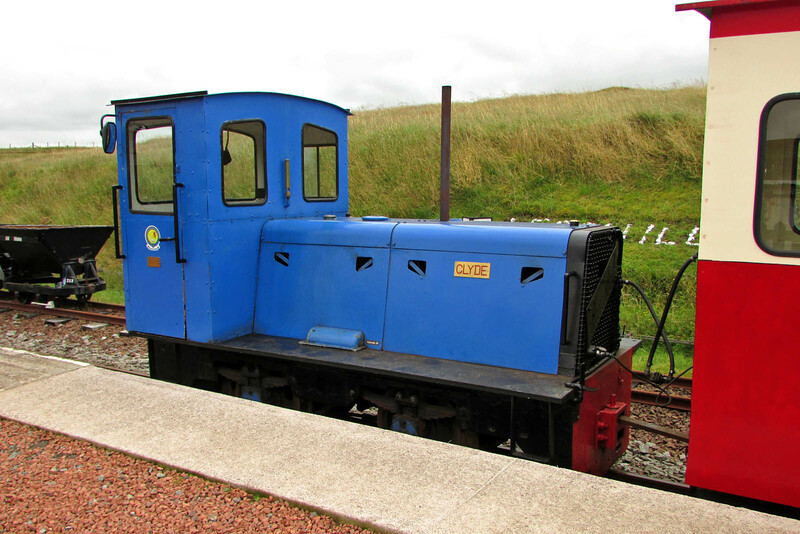 MOD 251 (Hunslet 9046 / 1981), with similar history to 250. 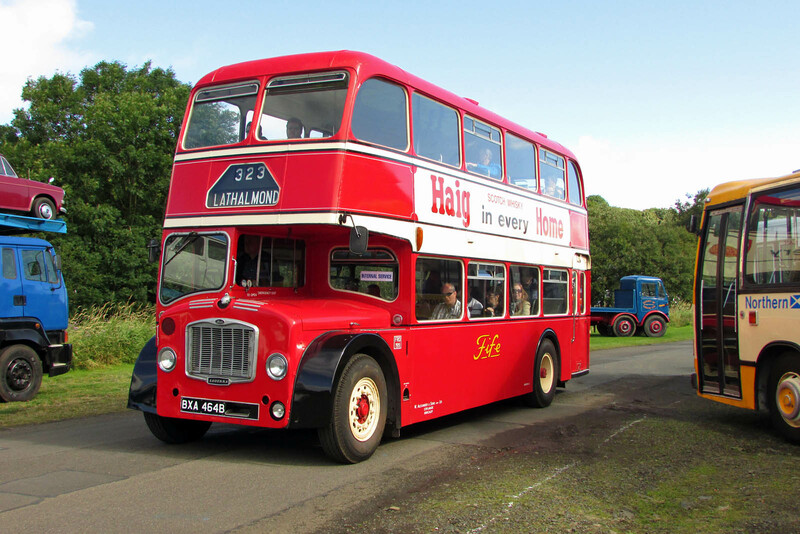 & many buses - a full set is posted here. 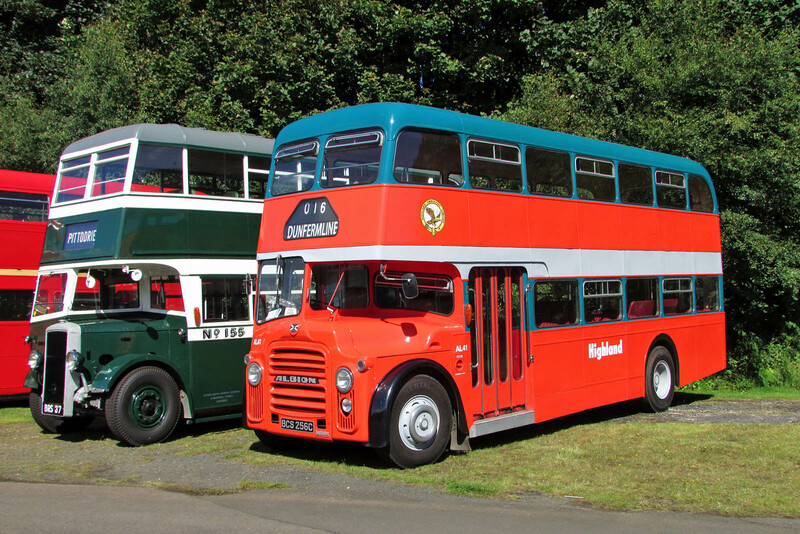 Alexander (Fife) FRD199 Bristol / ECW Lodekka FS6G BXA464B of 1964. Alexander (Northern) NAC147 AEC Reliance / Alexander NMS358 of 1960. 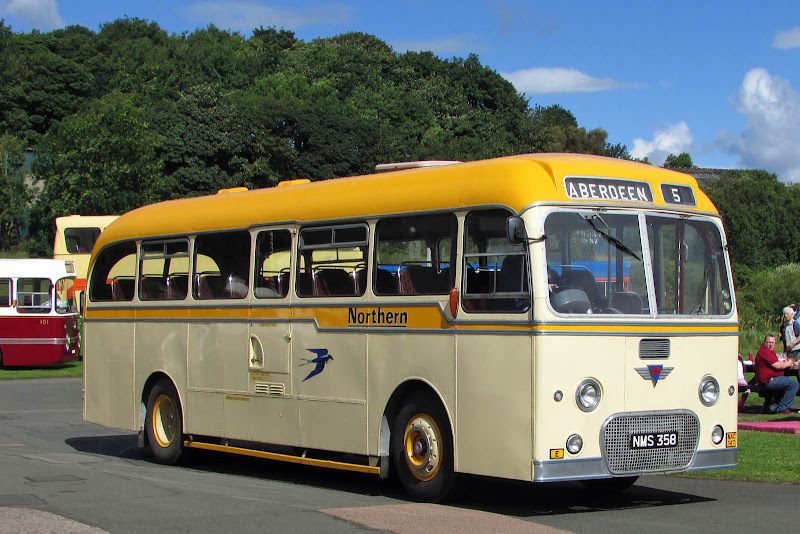 Albion Lowlander / Northern Counties BCS256C of 1965. I used to go to school in the UCS6xx registered batch, and these were truly awful. Seen at Aberdour, I did not observe BSO 9527 in use yet. 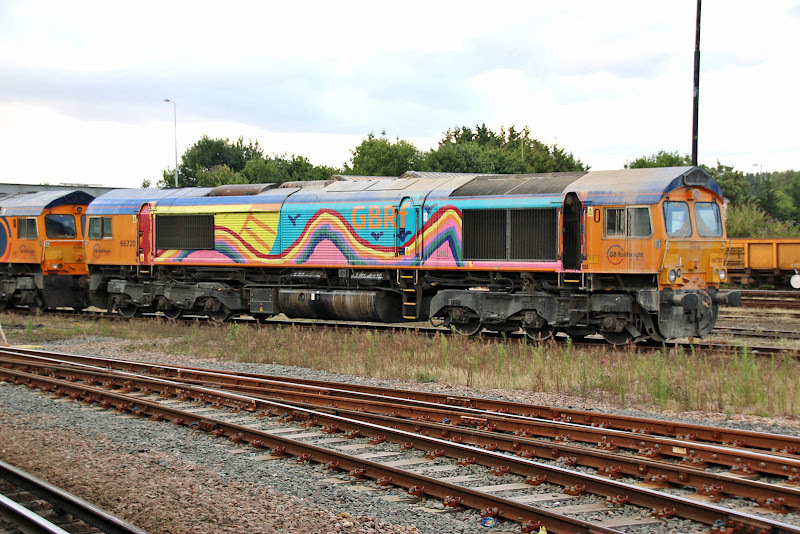 68007 was on the service for two weeks, but 68002 handed over to 68004 on the afternoon of Monday 22nd. 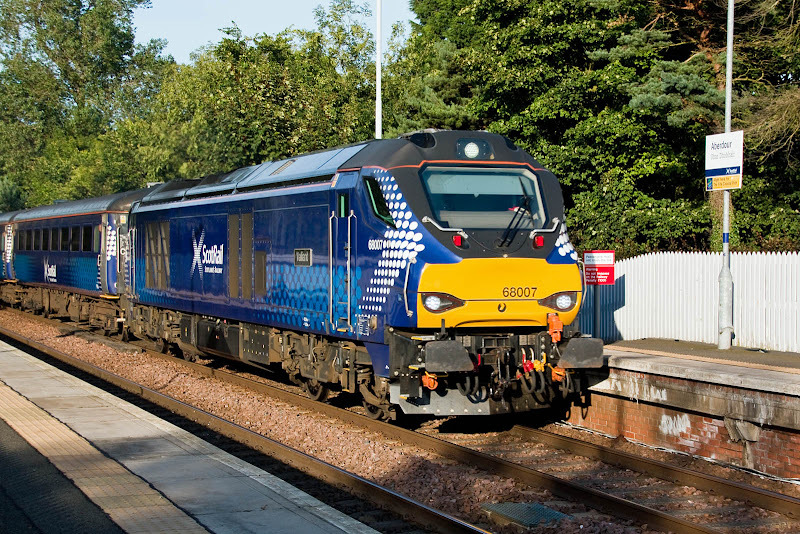 68002 Intrepid at Aberdour with 2K14 18:15 Glenrothes with Thornton - Edinburgh, 15th August. 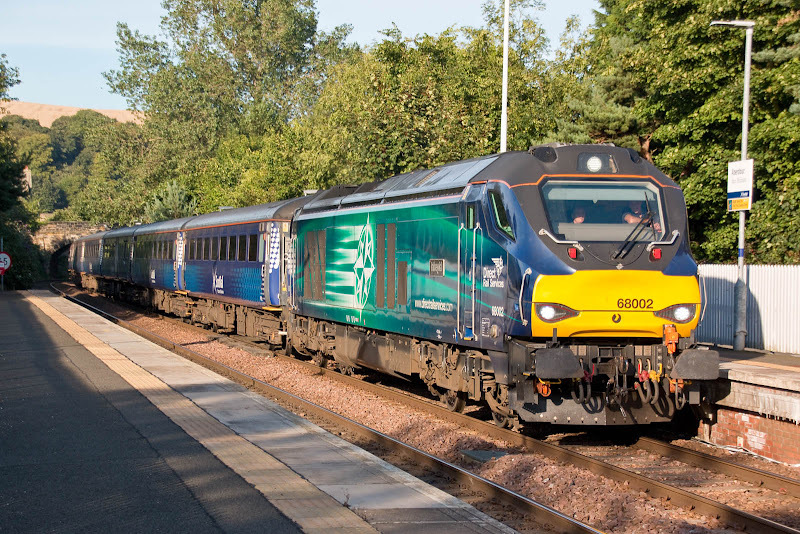 68007 Valiant leads ECS 5L70 18:24 Cardenden - Motherwell, on the same day. By the 24th the light was poorer, and sunset was 22 minutes earlier. 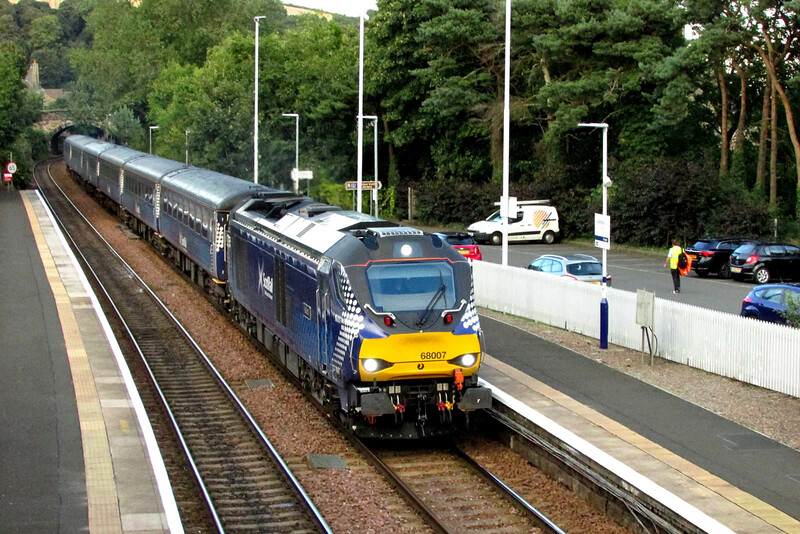 68007 again with 5L70 18:24 Cardenden - Motherwell. * Well, not the last, really - rather like the multiple "last Hamworthy Stone". 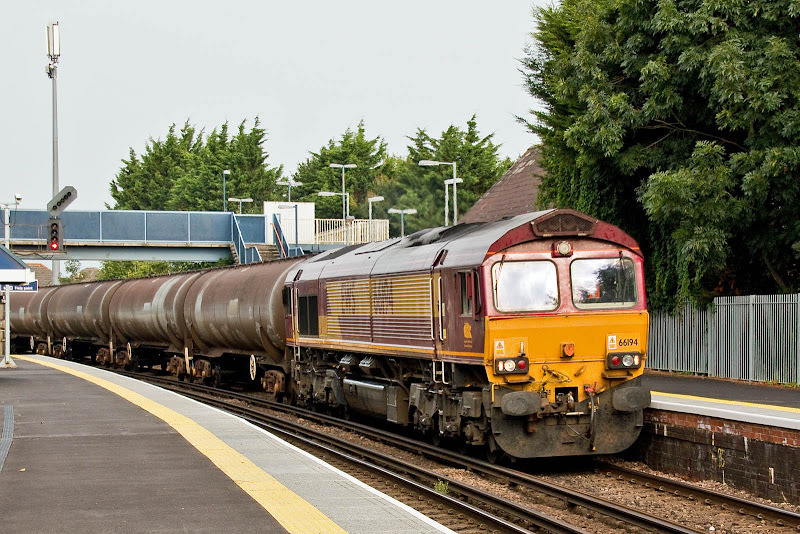 66194 0B41 06:51 Eastleigh - Fawley, 6Y32 08:24 Fawley - Holybourne, 6Y34 20:03 Holybourne - Eastleigh (for 6B41 0648½ Eastleigh- Fawley on Tuesday 30th) - is believed to be the last cycle from Fawley of the 'Holybourne Tanks'. There was no special headboard. 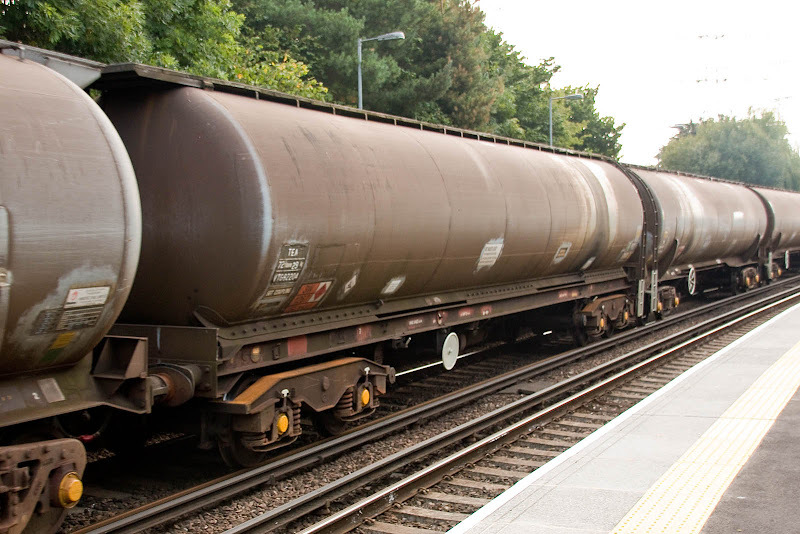 The tanks have been reported as to be moved to Holybourne for further storage, with a potential movement on Wednesday in the same path. 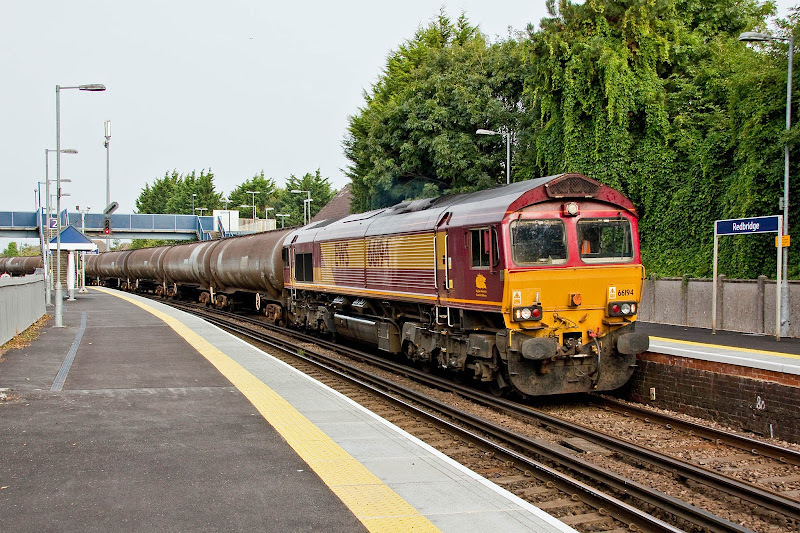 66194 rounding the curve at Redbridge. TEA VTG 82749 - part of a lot built by Procor in 1981-86, originally prefix PR for Procor then later CAIB. 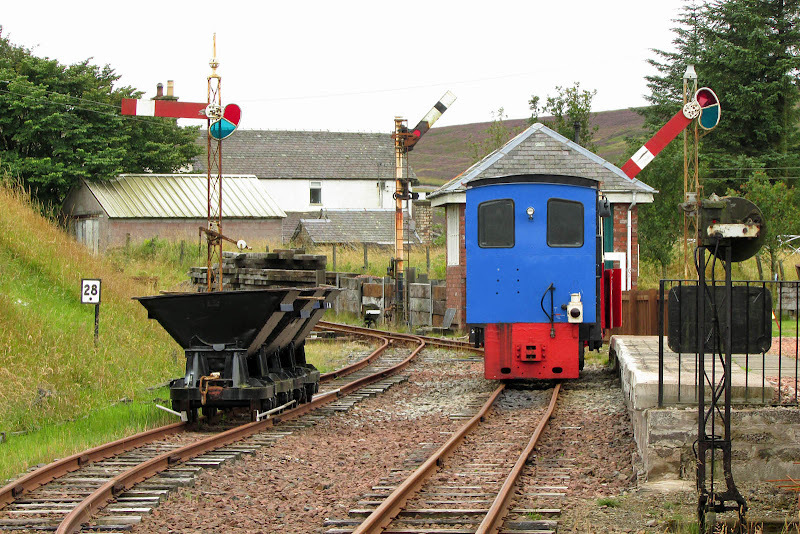 TEA VTG 82204 is from an earlier build by Standard Wagon in 1980, showing construction and bogie differences. 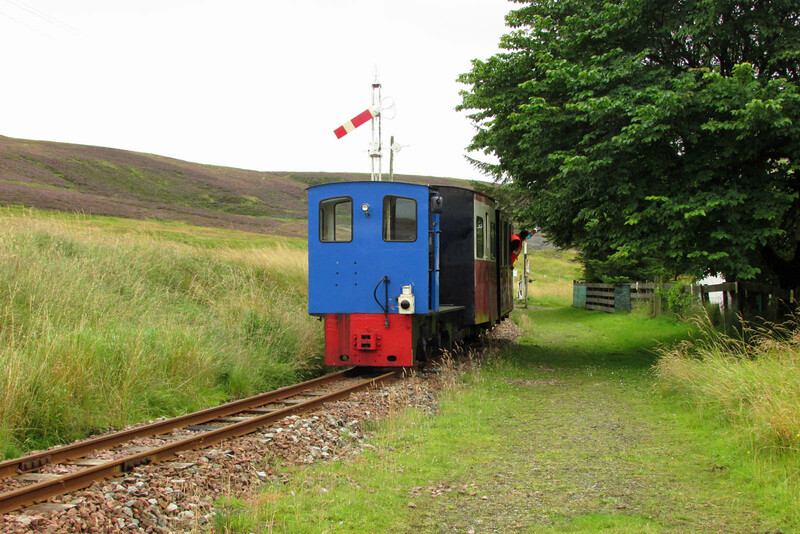 Originally built for Railease, owner prefix RLS. 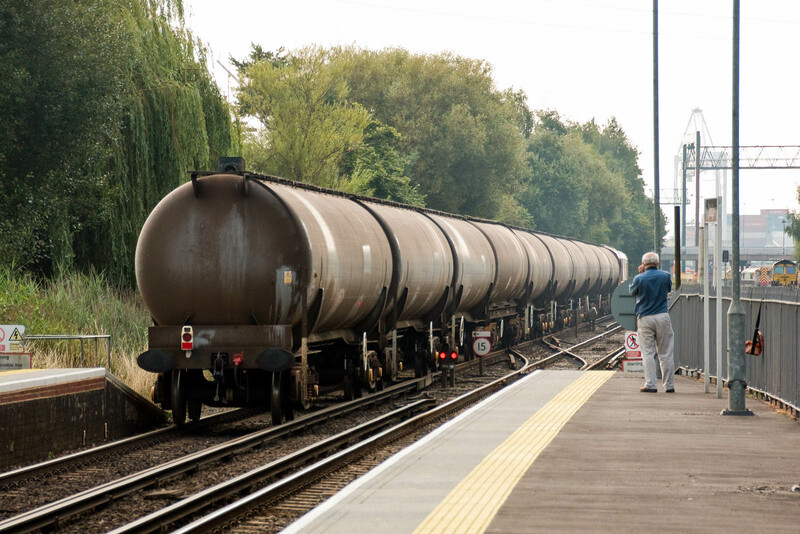 2013 Waterside Rail Study for Hampshire Council: "The analysis has shown that for a relatively modest (in rail industry terms) capital investment, it is possible to develop passenger services plus three new stations on the Waterside line. However, the latent demand in the area, overlayed with existing good provision of public transport (bus / ferry) in the area, is not sufficient to support the service. 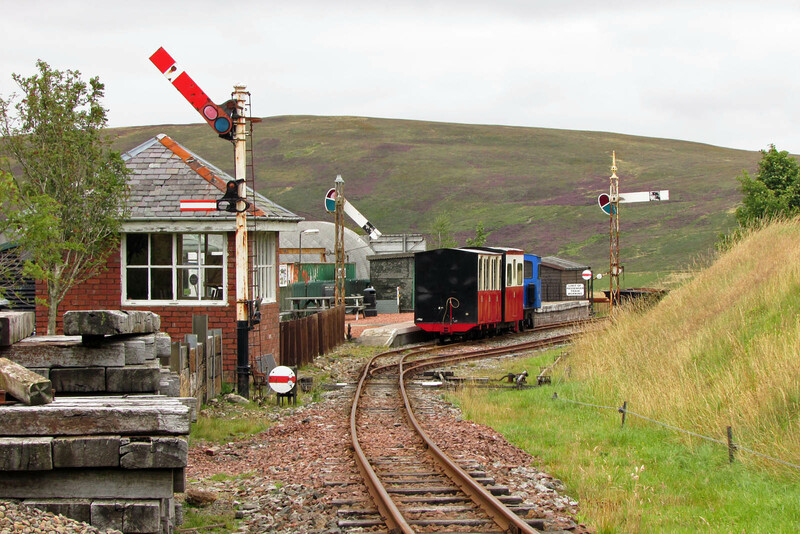 Should rail services be a strong priority, one of the other public transport modes would need to be sacrificed, and that has a host of political ramifications associated with it." 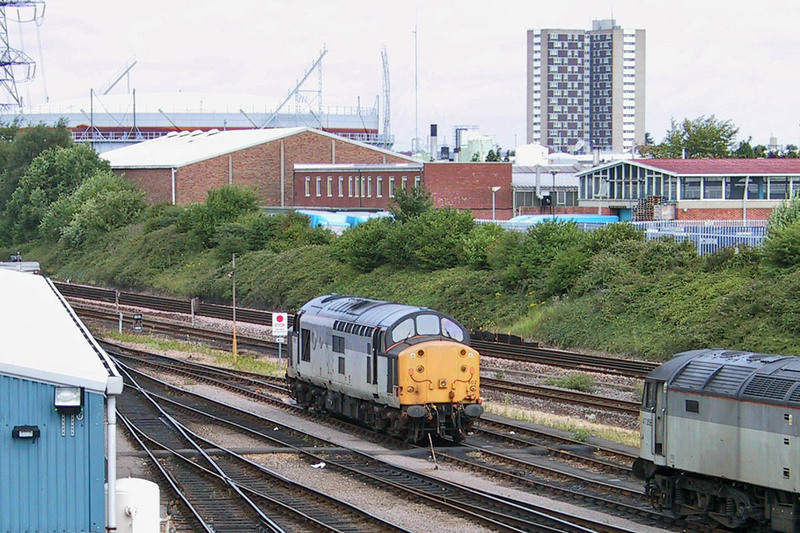 20107 and 20311 at Eastleigh on Sunday 21st, having worked 'The Buffer Buffer' on the preceding day. Three images by Ian Knight. 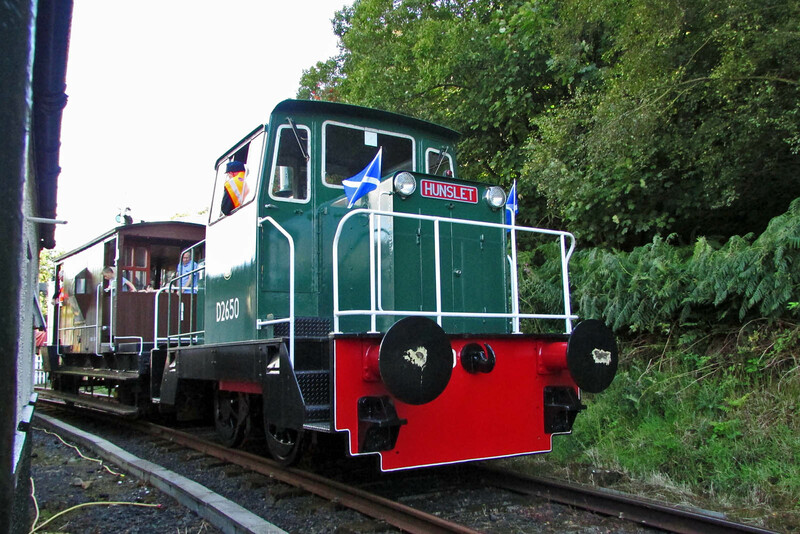 20314 originally was D8117 delivered in February 1962. 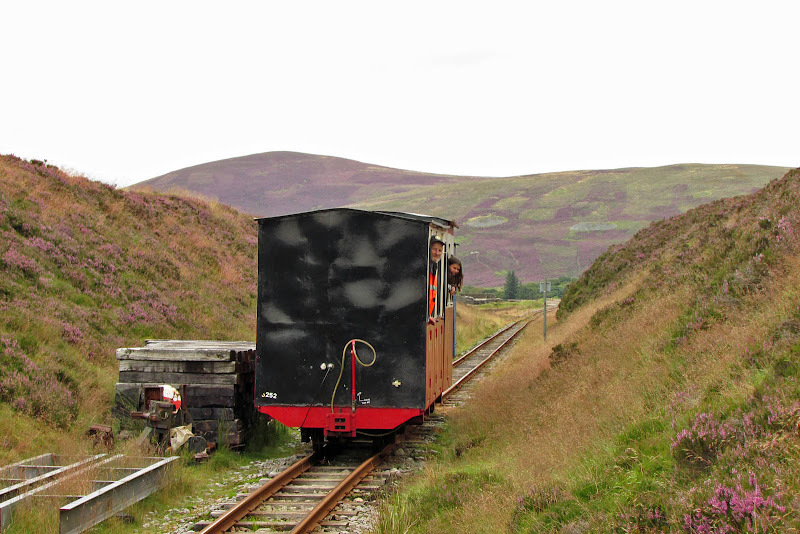 20107 preceded from Robert Stephenson & Hawthorns on 20th December 1961. 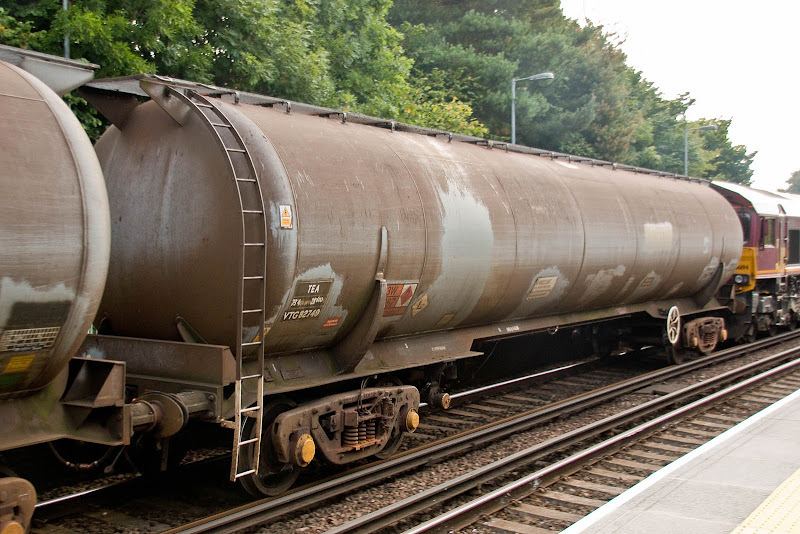 Fawley Tanks - last run to Holybourne expected on Monday 29th and last movement from Eastleigh to Fawley on Tuesday 30th. Timings for Marchwood on Monday and Tuesday. However there are STPs set up for Tuesday + Wednesday as well (?). 08786 shunts at Eastleigh 10th June 2001. 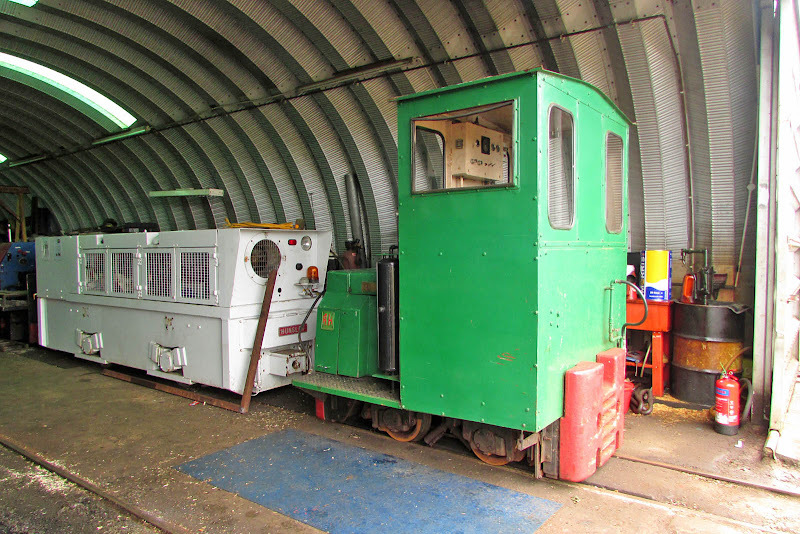 Now in storage at Barrow Hill, for past 5 years, under HNRC ownership. 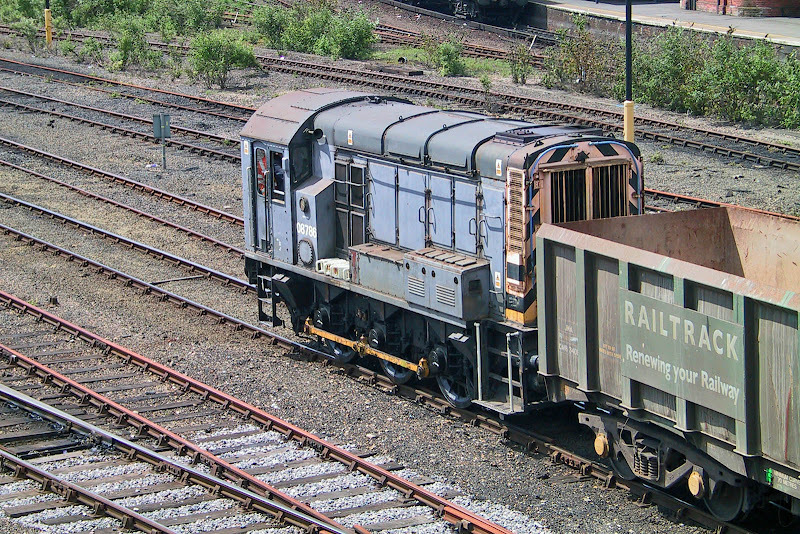 37038 then on hire to Freightliner from Riley & Son, Maritime, 14th July 2001. 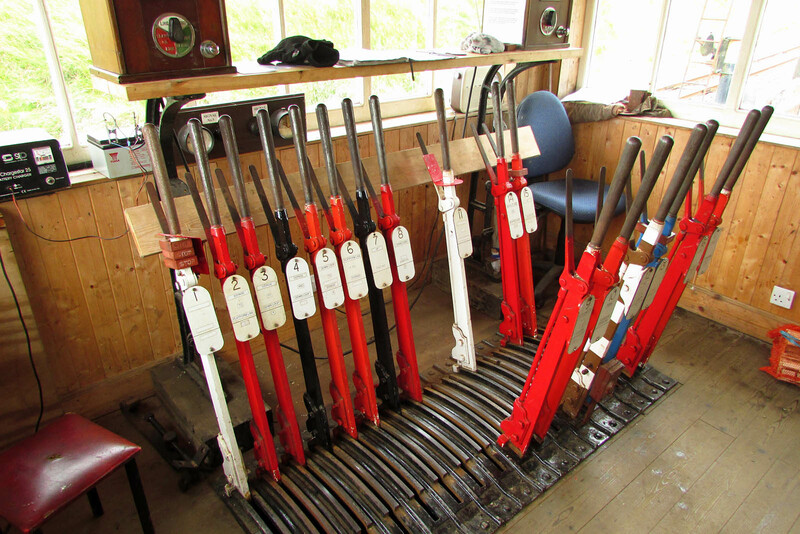 Now under overhaul for DRS at RVEL Derby. 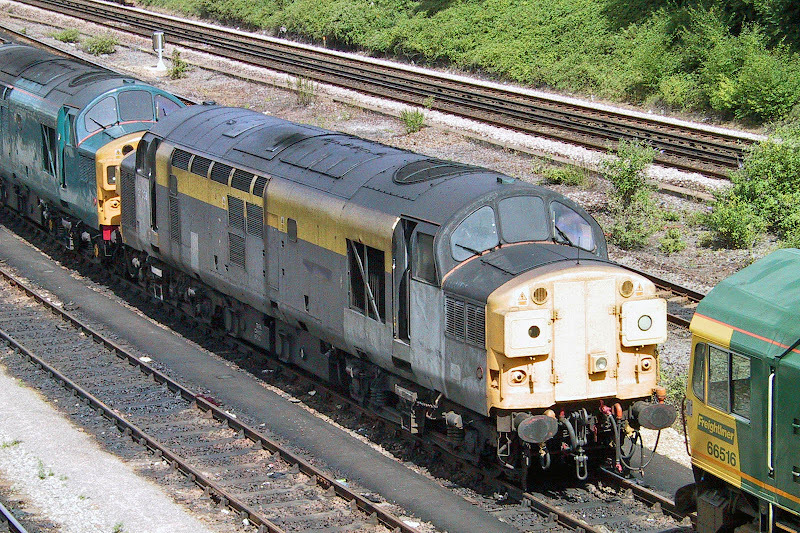 37602 was on hire from European Passenger Services, at Maritime, on 21st July 2001 but is now operational for DRS. 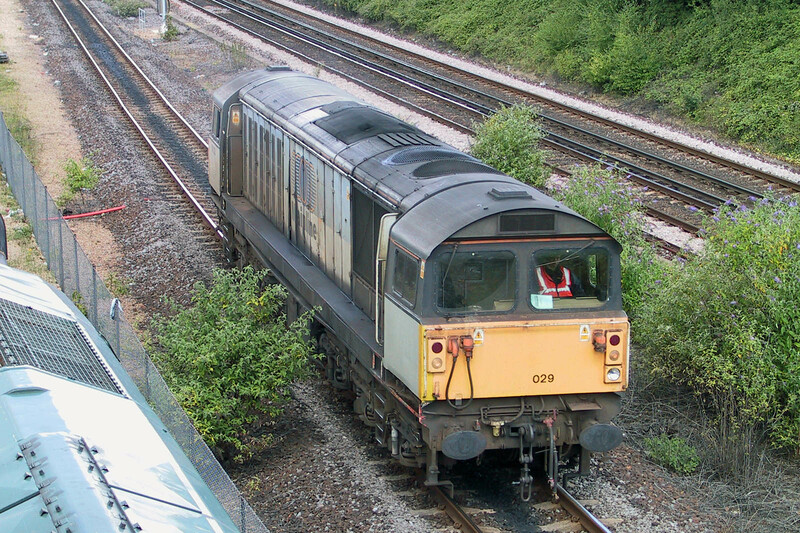 58029 was returning from rescuing a Class 57 to Maritime, 14th July 2001. Now in Spain as L44. 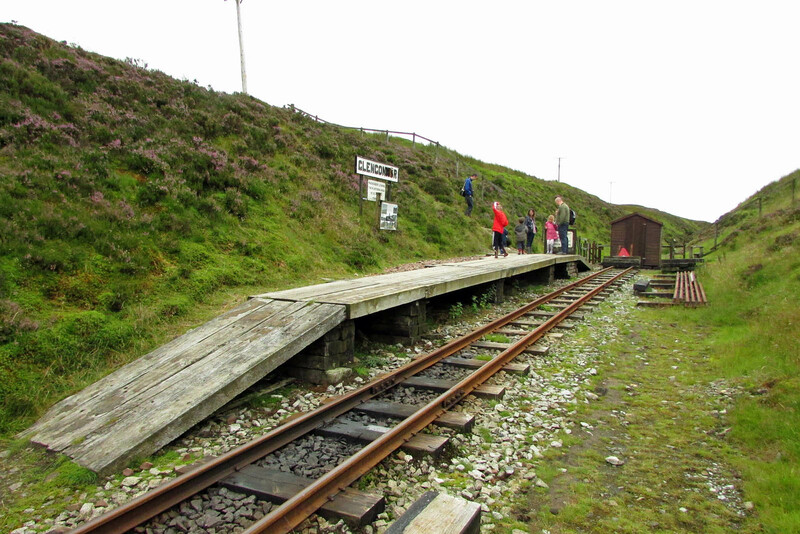 A set of images from the camera of Ian Knight. 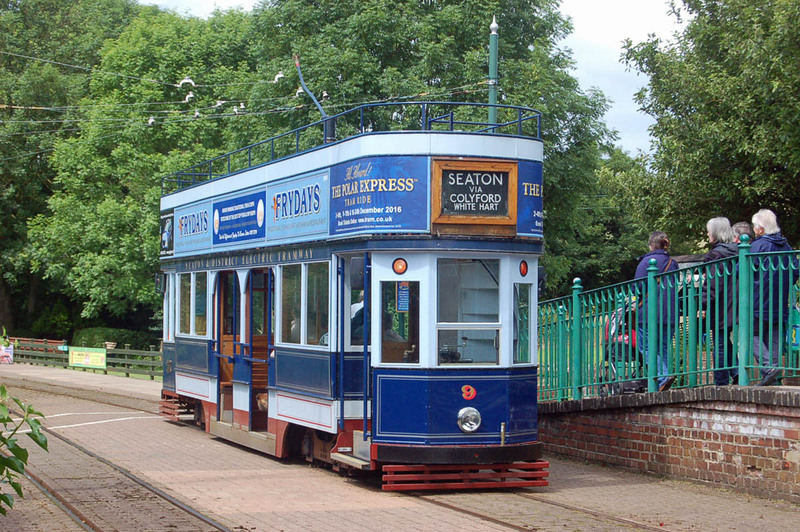 10, constructed in 2002 - 2007, based on design elements from Plymouth and Blackburn tramcars. 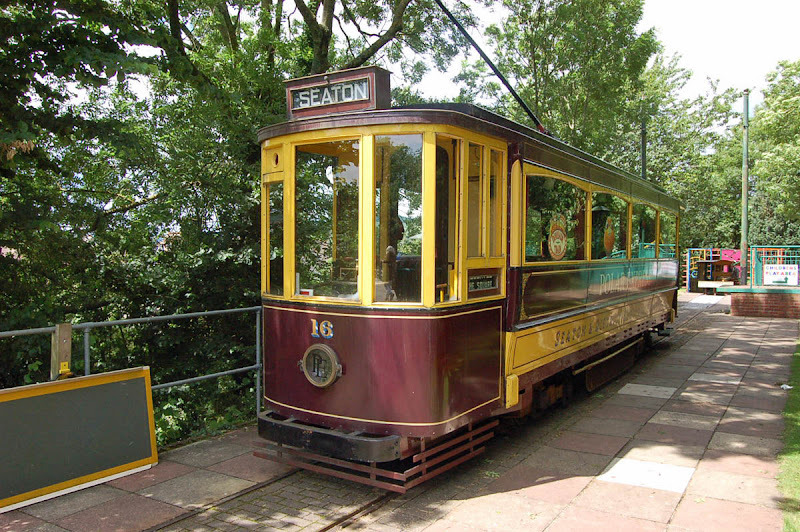 16, a 1921 Bournemouth open top car 106 (3’6” gauge), rebuilt at Seaton between 1974 and 1991. 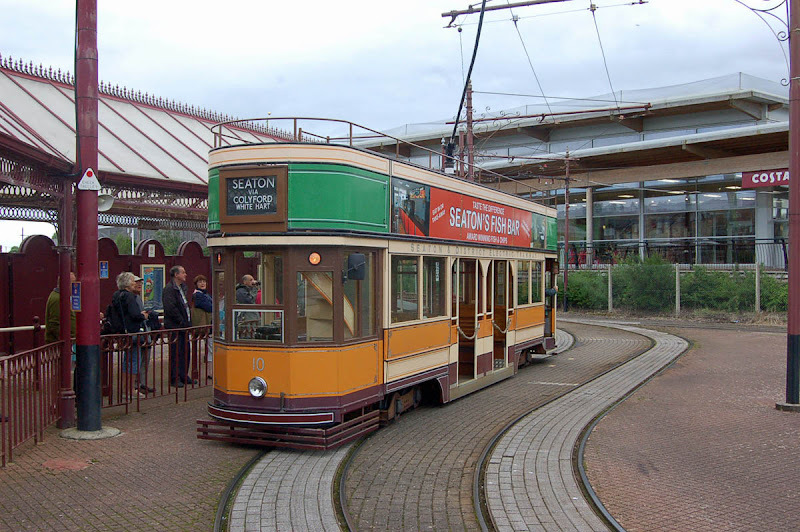 9, constructed in 2002 - 2007, effectively a sister car of 10. 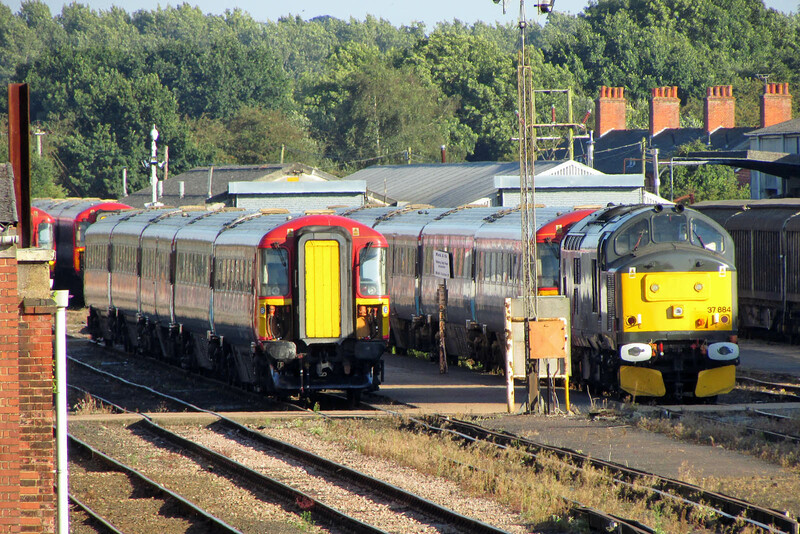 37884 amongst four 5-WES Class 442s, having delivered 442403 earlier in the day. 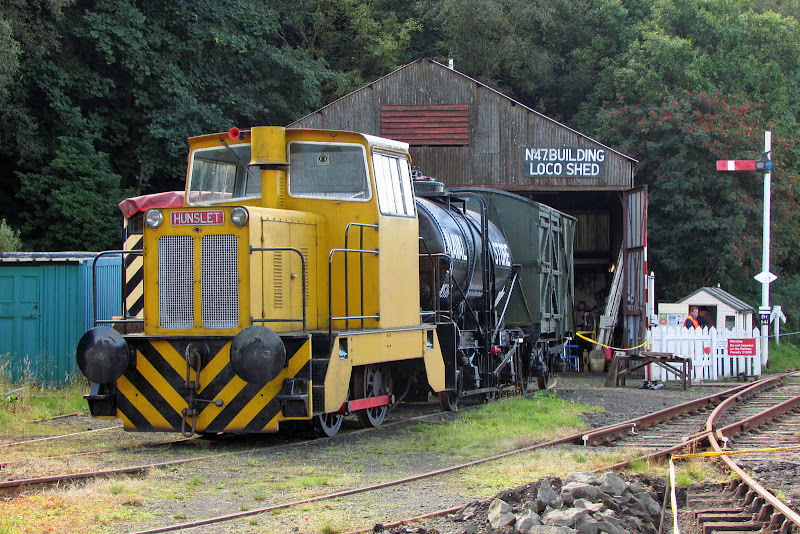 This locomotive was new as D6883 on 7th November 1963, and was allocated to Landore. Renumbered to 37183 in March 1974, an spent a spell allocated to Inverness between April 1982 and May 1987 when it was transferred to Motherwell. 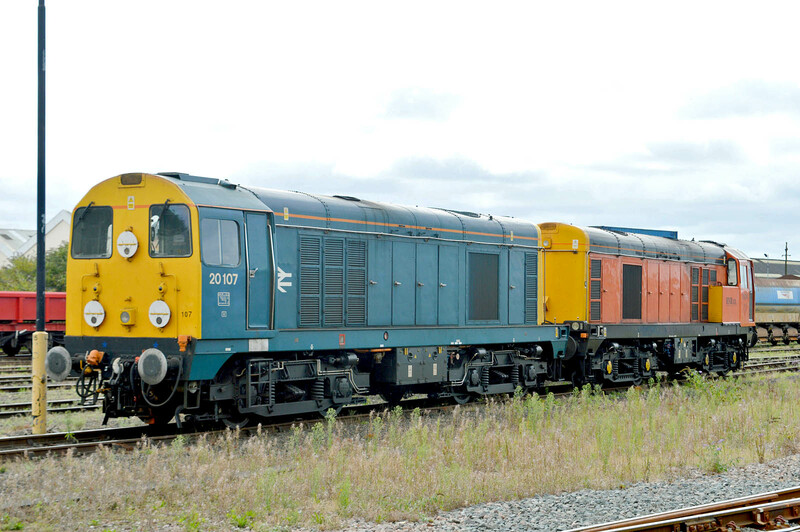 Refurbished and re-engineered at Crewe as 37884 in June to November 1988. 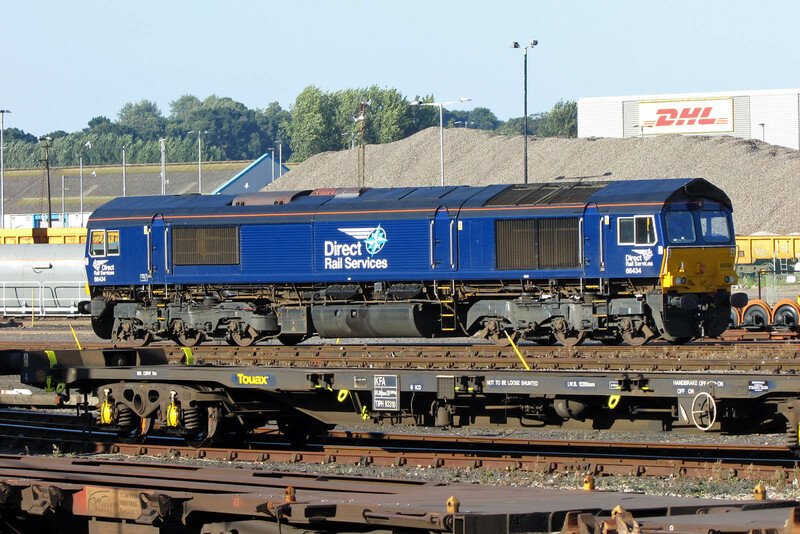 Stored by EWS in January 2001 and sent to Spain in August 2001, in the company of 37800. 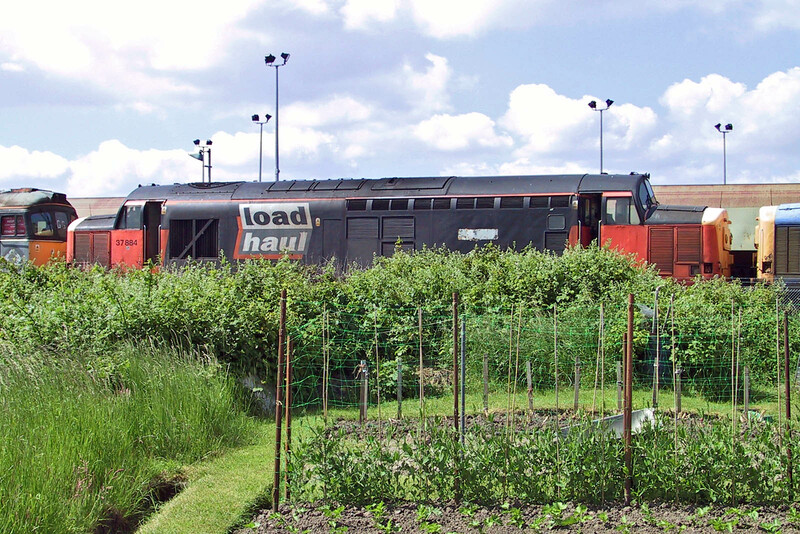 In Spain it ran as L34, returning from there in 2007, entering storage at Toton. 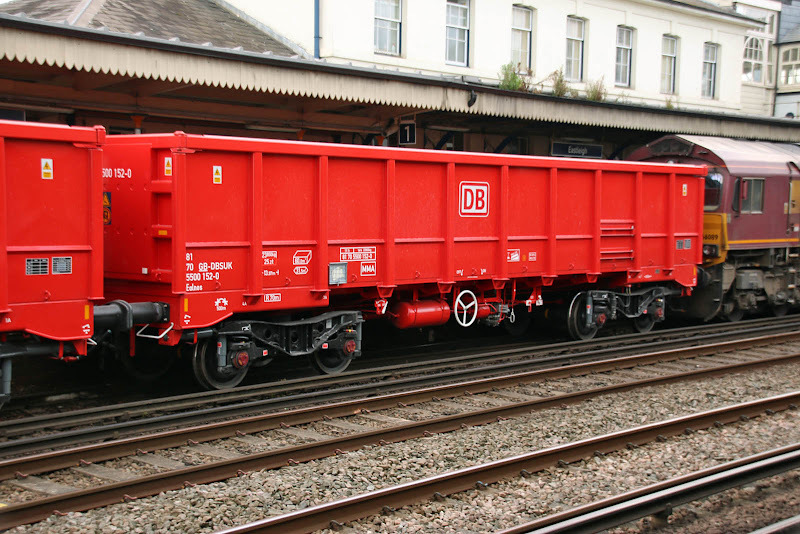 Sold to Europhoenix in 2013, overhauled in 2014, and entered Rail Operations Group service in late 2015. 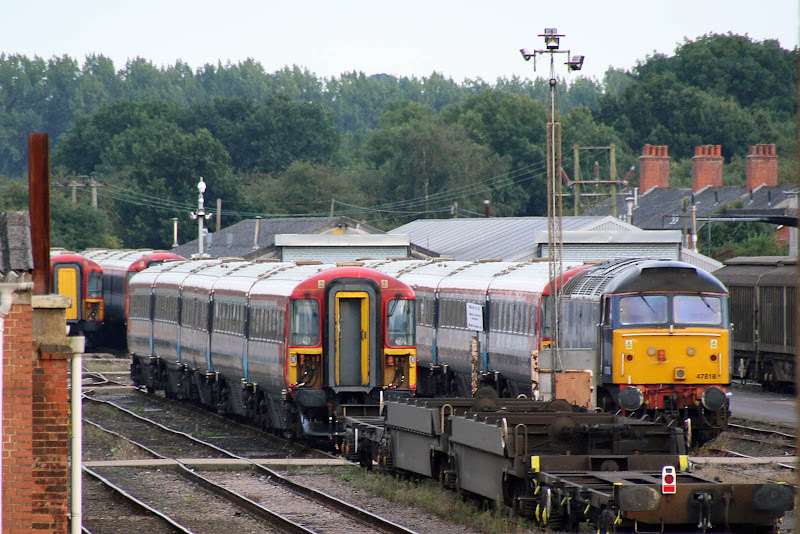 The locomotive is seen below in storage at Eastleigh on 10th June 2001, sandwiched between 33202, currently at Tunbridge Wells, and 37219, the latter now revived on the mainline. 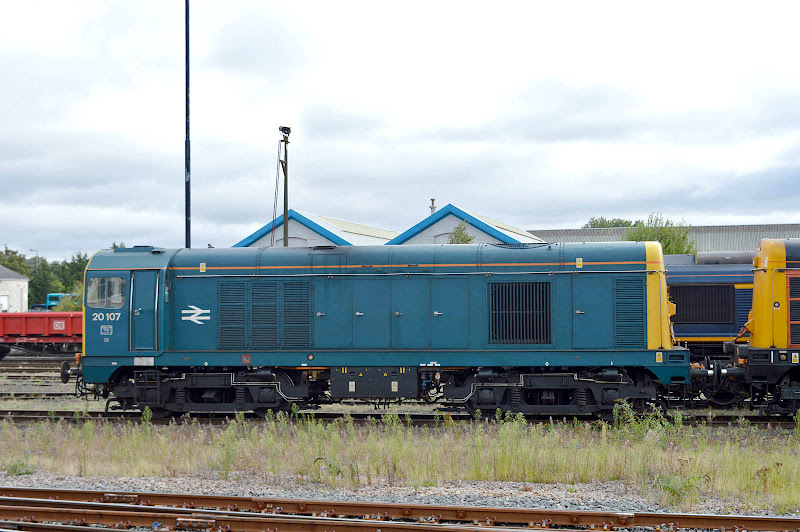 4422423 was delivered to the works on 8th July, and has not seen subsequent use. 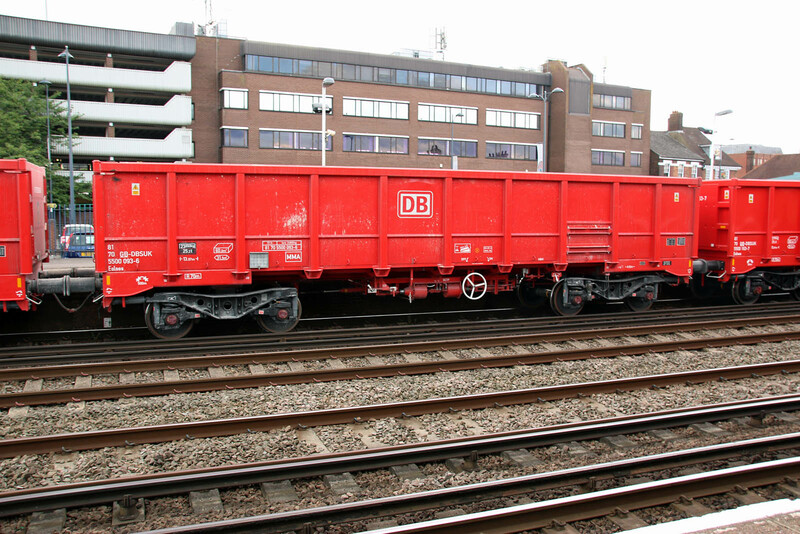 Delivered from BREL Derby in December 1988. Recently viewed 20092 at Barrow Hill is understood to shortly be going for scrap - since originally writing this, it is confirmed as delivered to EMR at Kingsbury for immediate disposal. 20312 is understood to now be under repair, but 20304 joins 20301 as a spares source, 20304 being said to have a bent frame. 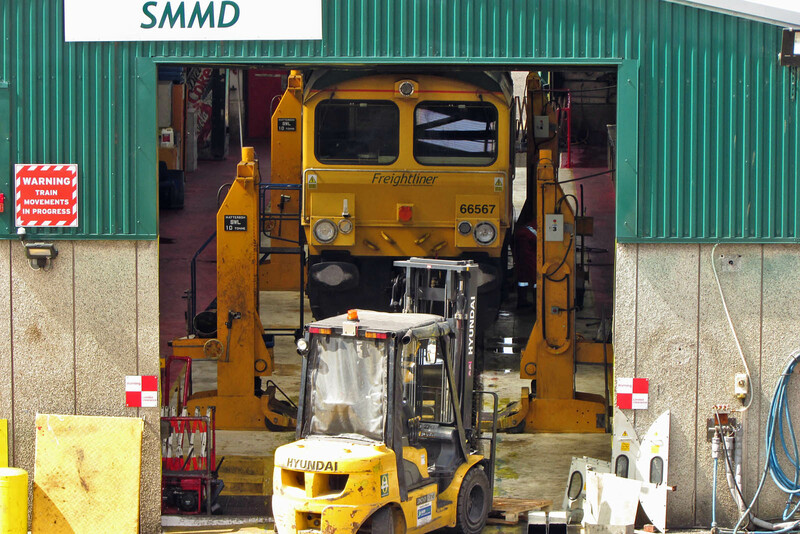 Similarly, 66567 is seen the maintenance depot. 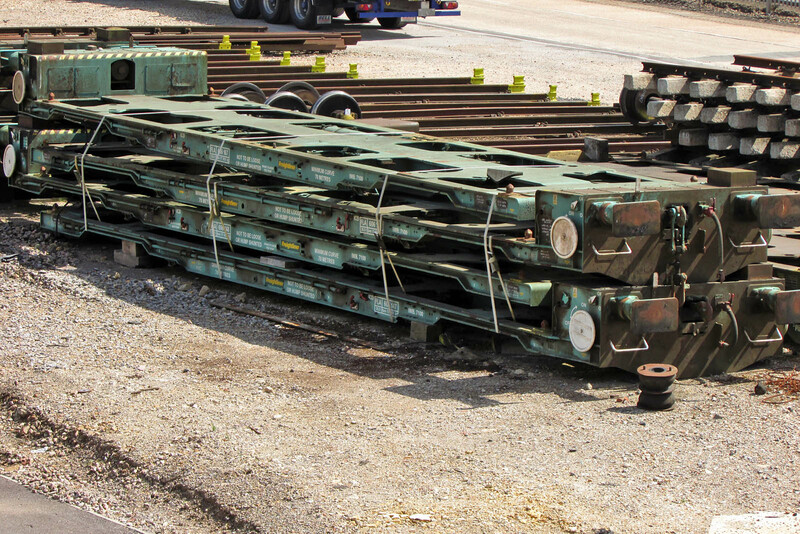 There are four pairs of stored FLA wagons visible at Maritime, minus their bogies, This stack is of, from top to bottom, 606167 + 606168 + 606148 + 606147, all assembled at Marcroft in 2005. These have been in this condition for a number of years. 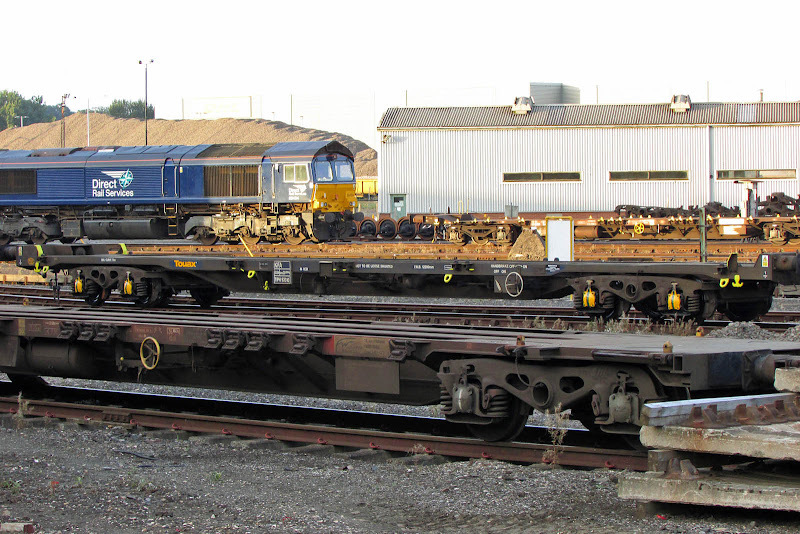 "Touax" appearing on more and more wagons, these examples being at Eastleigh Works. At the end of 2015 this French company acquired the assets of General Electric Rail Services (GERS) in Europe. 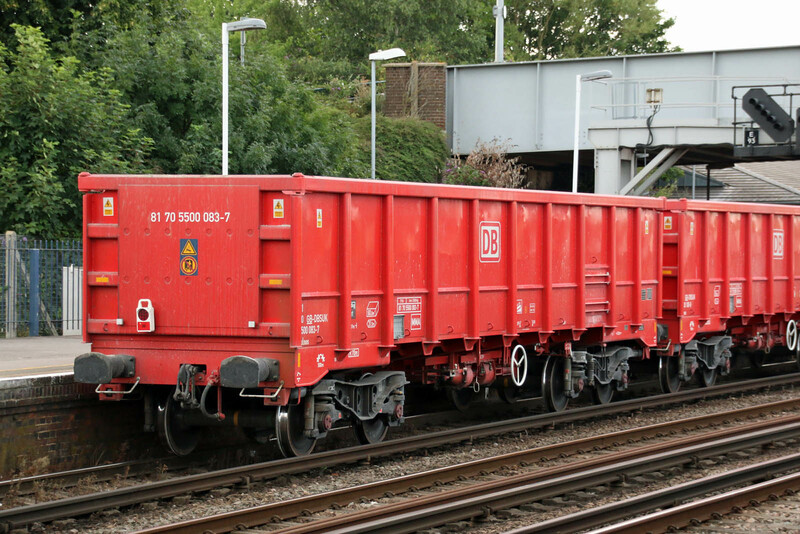 KFA TIPH 93310 was built by Rautaruukki in Finland in 1987-88 and carries a Tiphook Rail prefix. 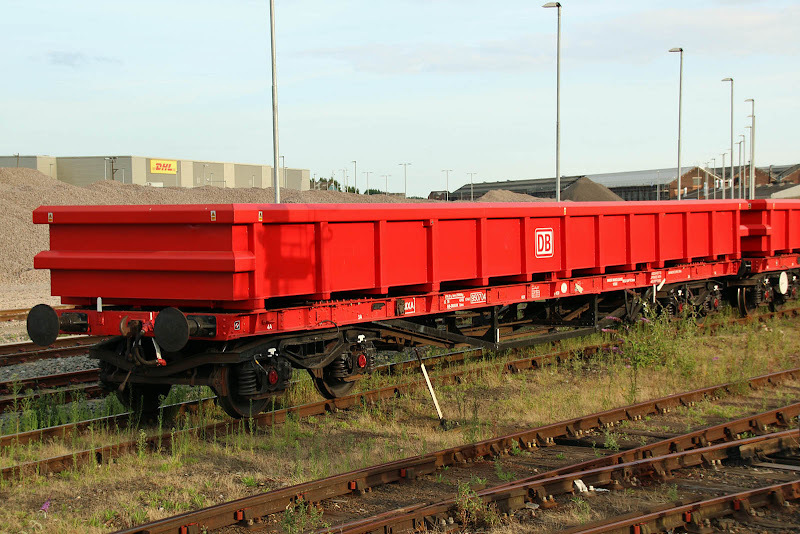 This company ran into some financial issues, with management buy out in 1996 into International Wagon Services which was acquired by GERS in 1998. 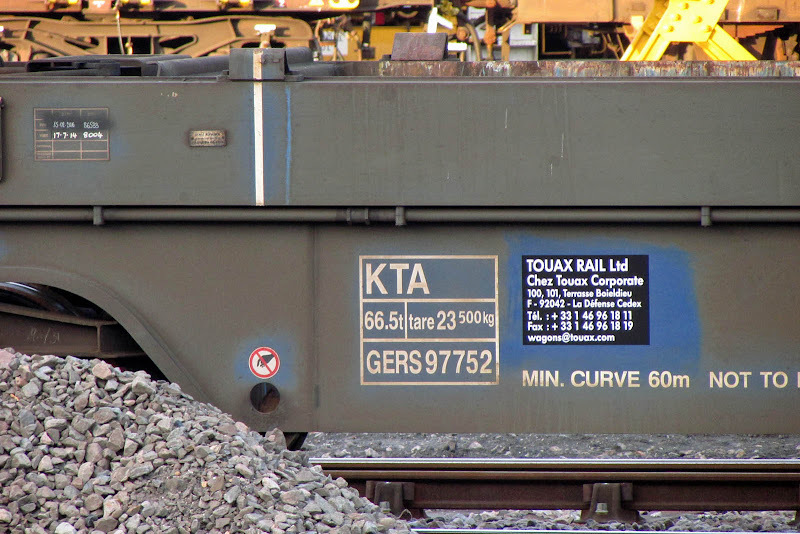 KTA GERS 97752 showing new contact details which are in the central business district of Paris at La Defense. 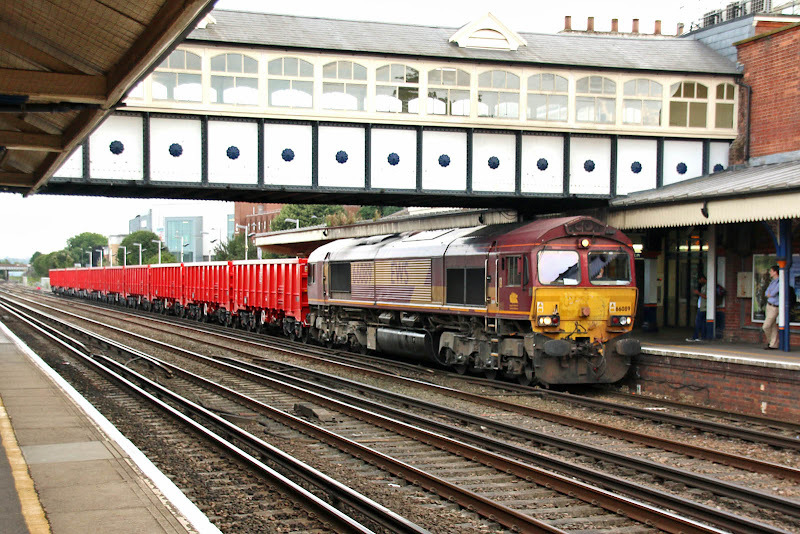 66089 with an STP working a 6Zxx 18;45 Southampton Up Yard - Wembley working retimed by about 4 hours, and proceeding directly from Wembley to Dowlow Briggs Sidings. Notable are the new DB Ealnos MMA 60m³ red open box cars, recently delivered from Astra in Arad, Romania. 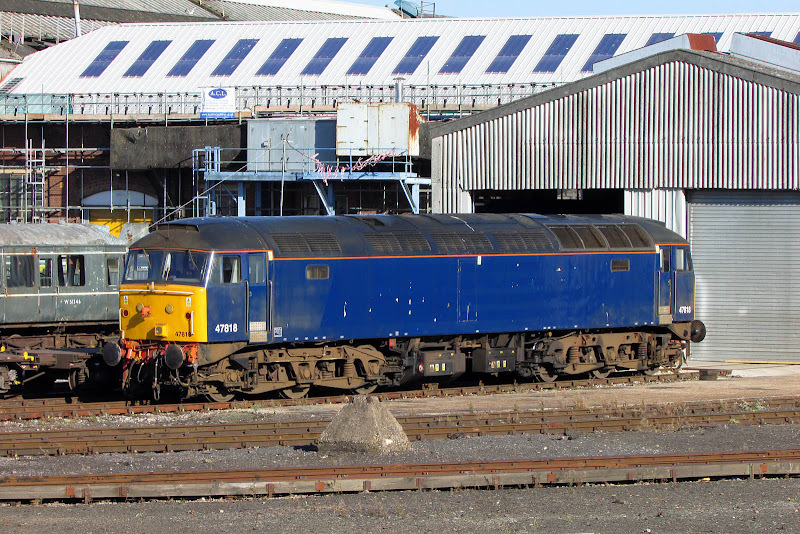 81 70 5500 093-6 appears to have been delivered around May this year. 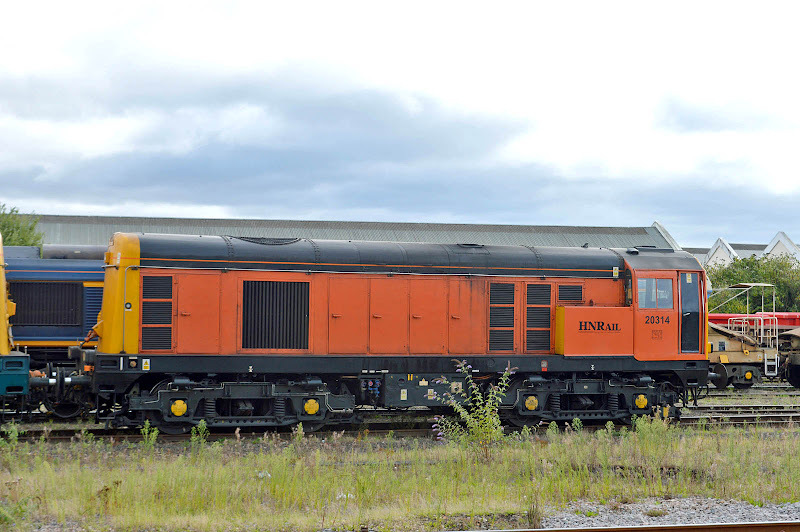 The earlier numbers in the same series, up to 073-8, are coded JNA and are in storage pending working for GBRf, with some explanation here and here. 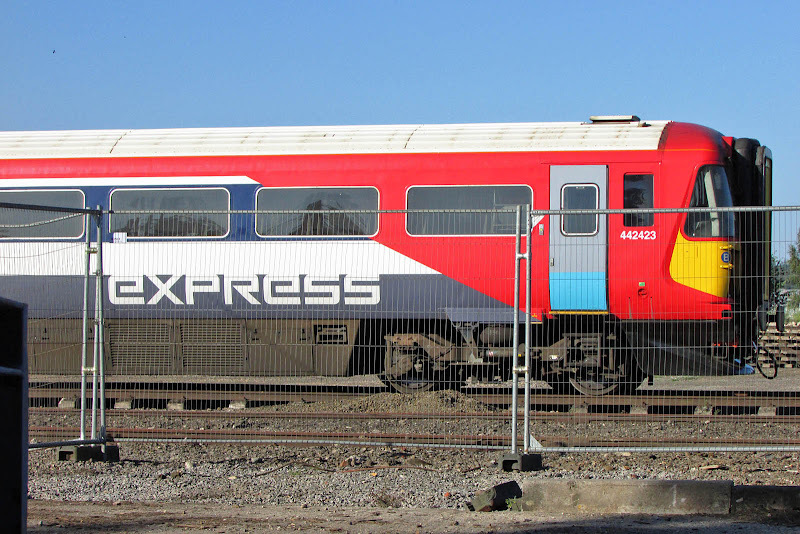 81 70 5500 152-0 appears almost newly delivered - from what can be seen it only arrived in the past month. 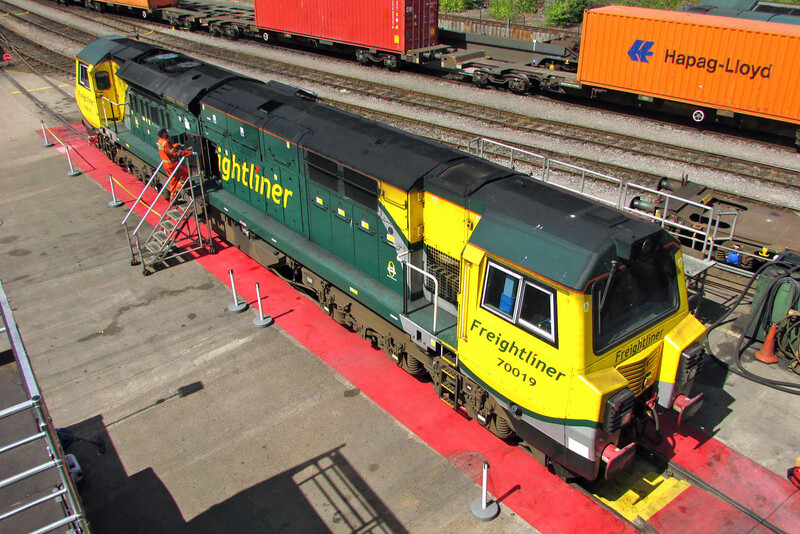 81 70 5500 083-7 was the tenth wagon, delivered in the late April to early May period.